SOLD! 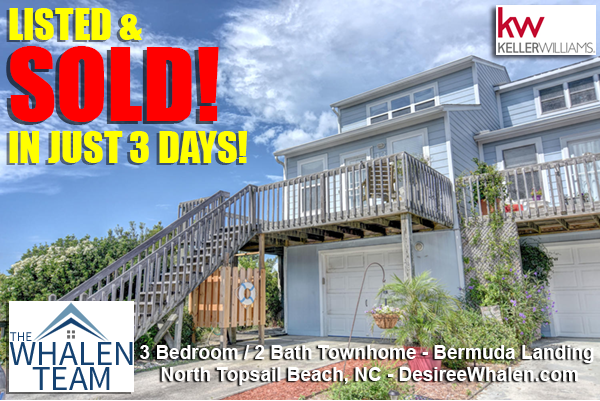 Water View Townhome in North Topsail Beach! **SOLD! ** Beautiful 3 bedroom 2 bath townhome in the Bermuda Landing community of North Topsail Beach! LISTED & SOLD IN JUST 3 DAYS! Need help selling your property? Call The Whalen Team today!